Original art sales by graphic impressionist Solveig. This is a tongue in cheek metaphor for the Apple Mac shop in Mullumbimby – Mullum Mac. 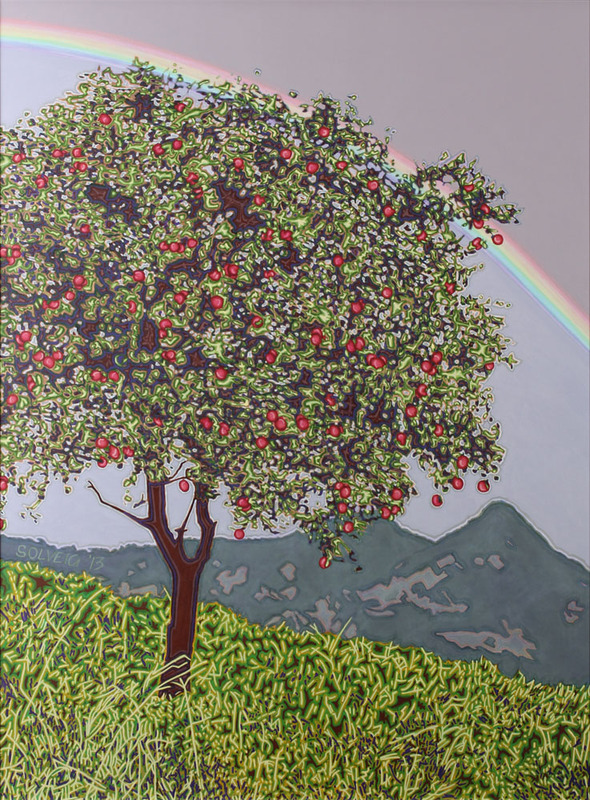 It features Mt Chincogan, rural countryside and rainbows with an apple tree, laden with fruit. My three sons founded this business so the painting was an in-house commission.